There are many ways to find motivated sellers when you are wholesaling houses. The one thing you will absolutely need in order to succeed in this business is a steady stream of leads. You will discover very quickly that your main job will be to find these motivated sellers that will sell you their house at a deep discount. To achieve the goal of having a steady stream of leads, you will need to have a marketing plan that you follow consistently over time. The money is in the follow-up. One problem that real estate investors in particular seem to come up against is the “ebbs and flows” of leads due to lapses in marketing. What I mean by this is that you tend to get behind in your marketing when you are getting a lot of calls and looking at houses. One day you look up and the phone has stopped ringing and you are back to square one. No leads! When this happens you crank up the marketing machine until you get overwhelmed again, and the cycle is repeated. Bandit signs are those annoying signs you see put up on telephone poles that say “We Buy Houses”. Do they work? In general, I believe the answer is yes. Are they a pain in the neck to put up? Absolutely! I believe the name “Bandit” comes from the way you feel putting up those signs. Most folks will go out either early in the morning or later in the evening when there is less traffic and therefore less chance of being seen. From experience, I can tell you that you kind of feel like a criminal that is trying not to get caught when attaching these signs to the poles. Having to pull a ladder out of the back of a pick up truck doesn’t help. For those of you that haven’t put up Bandit signs, you try to put them up high so someone can’t just walk up and pull them down easily. You want them to have to work at pulling down those signs. There is also a device that is sold for attaching signs to the poles that kind of looks like a huge staple gun. I haven’t tried it, but I’m almost sure it works better than a hammer and nails. You also need to be aware of the “Bandit sign police”. Those are the folks that hate the signs and go behind you and take them down. I might mention that it is also illegal in some neighborhoods to put them up. You might get a call or two, but in general they will just be taken down. I used to put them up early on Saturday mornings at busy intersections and around large department stores such as Wal-Mart, Home Depot, etc. You just need to put them up in neighborhoods where you want to buy houses. They should be located in high traffic areas where they will be seen. Before the internet started to put newspapers out of the advertising business, you would see a lot of investors advertising in the local papers with “We Buy Houses” ads. This type of advertising is very costly. While you still see some of those ads, the internet has pretty much replaced that form of advertising. Craigs’ list is a good source of leads. I have gotten calls from Craigs’ list ads as well as other internet sites that you can advertise on. The main advantage to this type of advertising is of course that it is free so you can do it on an ongoing basis. In my area, many of the small neighborhood papers that you once could place an ad in at a very low cost have simply gone out of business. The MLS or “Multiple Listing Service” can be a good source of leads. This is where Realtors list their houses. The owner of a house that has been sitting on the MLS for an extended period of time can become a very motivated seller at some point if he is paying two mortgages. If you don’t have access to the MLS, there are many online sites such as Realtor.com where you can search for the same houses. The main advantage to having either direct access to the MLS or having access through a friend or business associate, is that there is just so much more information available to you. Much of the information that a Realtor can see such as the number of days the house has been on the market, is not available to you through other services. Realtors can also see the comments section of the listing. They will be able to know that the seller “must sell” or is “a very motivated seller”. Having access to this information is one of the main reasons folks wholesaling houses and other real estate investors actually become Realtors. Attorneys, particularly ones that work in probate, bankruptcy or divorce, can be a great source of leads when you are wholesaling houses. One way you can develop a relationship with these folks is to get to know the attorneys that belong to your local REIA (Real Estate Investors Association). You could also periodically send out a letter to attorneys in these specialties letting them know that you are an investor and you would be interested in buying distressed property from motivated sellers. Most of the calls I get from attorneys are about properties that would generally be classified as “needing a lot of work”. Whenever I am marketing to probates, I send the letters to the attorneys if they are listed as the contact person. 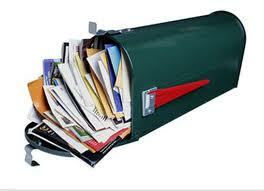 For me, direct mail has been my biggest source of leads. You will need a list of names to market to. There are many different lists that you can buy. I personally love marketing to absentee owners. These folks live in another area (probably another state) and they own a property in your town. For one reason or another, they decide that they want to sell the property. They can become very motivated sellers depending on their circumstances. Possibly there is a situation such as a divorce, illness, job loss or other family problem. However, most folks will tell me that owning an out of town property has just become a too much of a burden. They just want out of the “landlord business”. You can use one of many list services to purchase your names, but I am able to buy an absentee owner list for a couple hundred dollars from my local PVA (Property Valuation Administrator). In my area, probates are published once monthly in the newspaper. So each month, these names are added into my database. Buying properties from estates has been one of my largest sources of wholesale deals. Often times these are properties that haven’t been updated in 30-40 years. Many of them need a great deal of repairs. The heirs either don’t have the money to spend on the house, or they simply don’t want to sink their money into the house to get it back into shape so it can be listed. Either way, these are some of the most grateful motivated sellers that you will come across. They just want to be rid of this problem (the unwanted house). I have ongoing direct mail campaigns for both of these groups. They say that you have to market to someone for 9 times before you are able to make a sale. I don’t know if this is the magic number for real estate or not, but I do known that you will get most of your deals after sending to them letters or postcards consistently over a period of time. It is not uncommon for me to get a call from a seller after marketing to them for a year. This is true both for probates and absentee owners. Circumstances change and the degree of motivation changes for these folks over time. The most important thing to remember is to market consistently. If you set up a system and follow it, you will be successful at wholesaling houses or any other real estate strategy that you decide on. No matter which strategy you pursue, you need those leads to produce motivated sellers.